This is an acrylic painting on a canvas. This painting measures 16″x 20″. This painting depicts a lake that’s actually part of the St. John’s River. This lake is part of a park with has an old sugar mill. There are trails, critters and a pool of naturally feed spring water where one can swim. And there are gators. In the lake side. Very interesting. 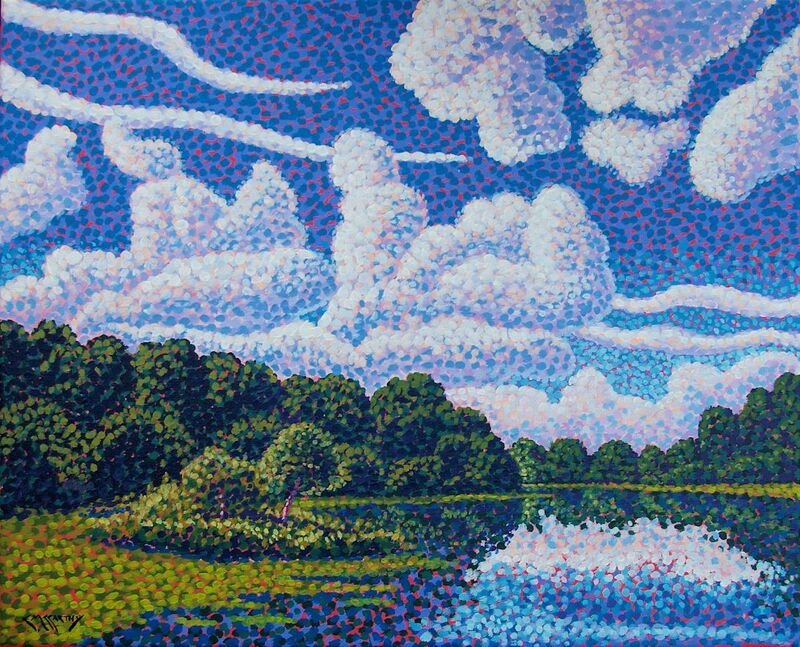 I completed this painting using my more stylized whimsical approach to pointillism. This painting is being sold unframed.